Study examines how to manipulate photons for quantum engineering. Asst. Prof. Jonathan Simon with the photon collider—the blue light is reflected by a precisely arranged set of mirrors to manipulate individual photons so that they ‘collide’ with one another. Photo by Jean Lachat. The universe is illuminated via photons, the tiny individual particles that make up light, but they don’t interact with each other. To make them see the light, a team of University of Chicago physicists built a trap to help photons bounce off each other. Their photon collider, described in the March 19 edition of Nature Physics, is the latest effort to make photons behave like other particles such as electrons—a step toward greater understanding and control of quantum systems, which may one day manifest as technology with new properties. Quantum systems behave according to the strange laws that govern the smallest particles in the universe, like electrons. Scientists are increasingly interested in exploring new ways to harness the particles’ odd behaviors, like being in two states at once, and then choosing one only when measured. Jonathan Simon, the Neubauer Family Assistant Professor of Physics and the James Franck Institute, is interested in how walls dividing matter and light begin to break down at this scale. Most electronic systems use electrons as the moving parts, but photons can display quantum properties just as easily as electrons—and photons’ quirks could both offer advantages as technologies and serve as models to understand the more slippery electrons. So his team wants to manipulate and stack photons to build matter out of light. (From left): Asst. 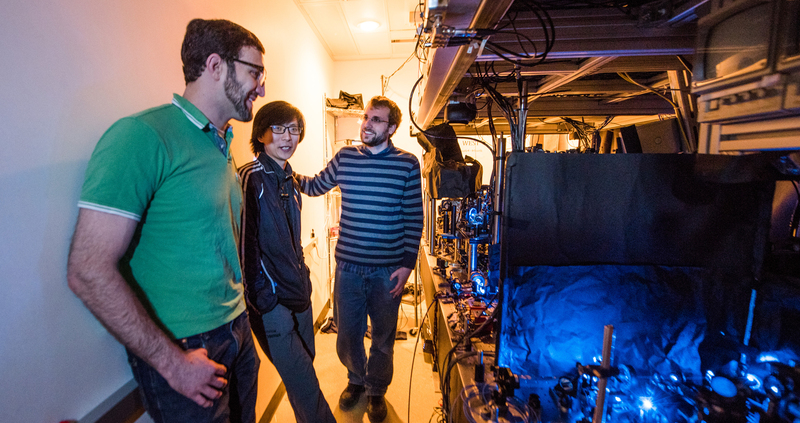 Prof. Jonathan Simon, graduate student Ningyuan Jia and postdoctoral scholar Logan Clark with the photon collider. (Photo by Jean Lachat). “Essentially we want to make photon systems into a kind of quantum Legos—blown-up materials that you can more easily study and tease out basic quantum design principles,” said Simon, who is also a fellow of the Institute for Molecular Engineering. But because photons have no mass, no charge and no chill—they always want to travel at the speed of light—making them behave like other particles takes some delicate finagling. Two years ago, Simon’s lab figured out a way to make photons behave as though they were in a magnetic field. The next challenge was to make photons react to each others’ presence, which light normally doesn’t. This offers a new way to understand some of the more poorly understood quantum properties, like entanglement—the state in which two particles become linked and share the same state even at great distances. Scientists use a weak laser to send a photon into a series of mirrors, which keeps the photon continuously bouncing around inside. (Photo by Jean Lachat). There’s also interest in using photon systems for ultra-secure communications and to make computers. 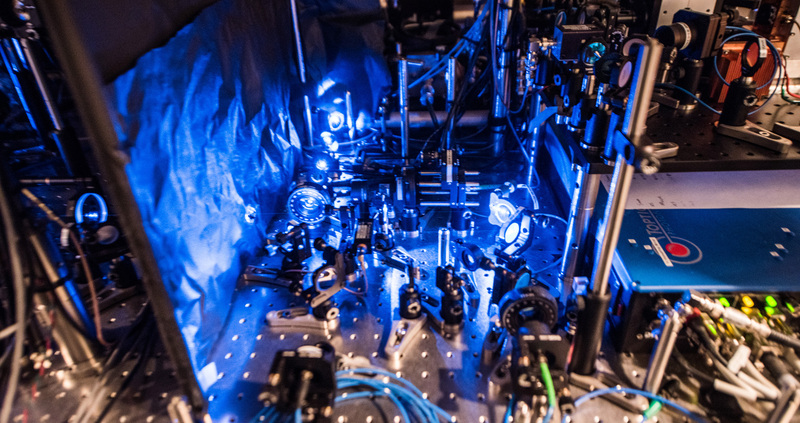 The team’s next step, Simon said, is to combine this setup with their previous one, to produce a set of photons that both interact with each other and with magnetic fields. 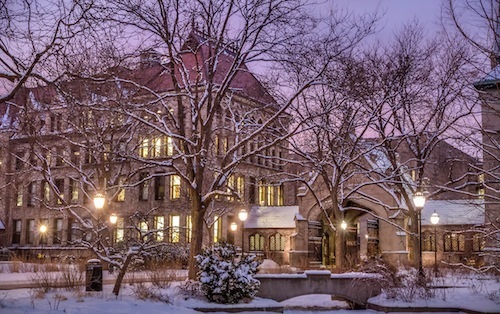 The first author on the study was UChicago graduate student Ningyuan Jia. 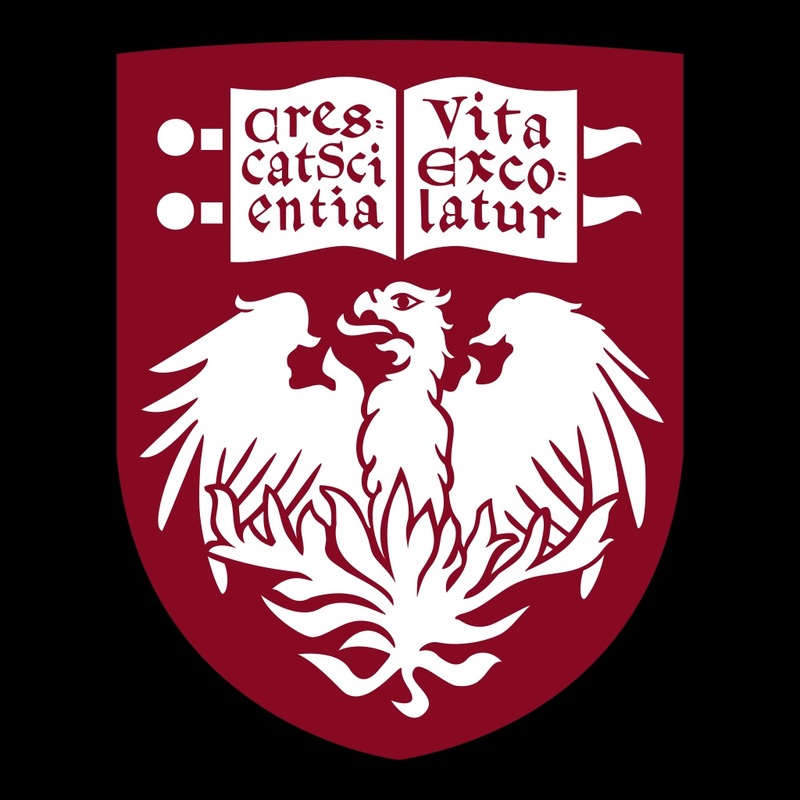 Other co-authors were graduate students Albert Ryou (now at the University of Washington), Nathan Schine and Alexandros Georgakopoulos, as well as postdoctoral scholars Ariel Sommer (now at Lehigh University) and Logan Clark.